Deep fry favorite foods in Lodge commercial grade baskets that fit in Lodge Dutch Ovens. Easy to store folding handle & drain hook. Constructed of Nickel Plated Steel. In the kitchen, or on the deck, this handsome camouflage pattern stands out in the crowd.Lodge's assortment of camping accessories and cooking tools. Fun addition to Lodge cast-iron cookware collection. Lodge's assortment of camping accessories and cooking tools. 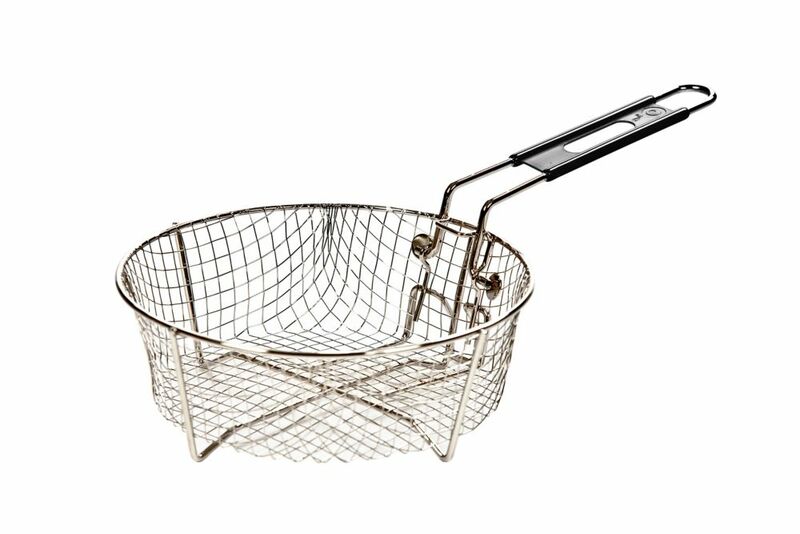 9 inch Deep Fry Basket Deep fry favorite foods in Lodge commercial grade baskets that fit in Lodge Dutch Ovens. Easy to store folding handle & drain hook. Constructed of Nickel Plated Steel.